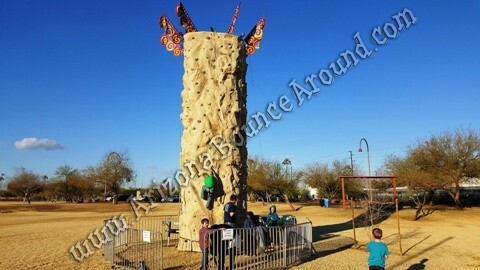 Our 5 climber rock wall rental price includes staff to harness and help the rock climbers, fencing and carnival flags on top for an amazing experience. 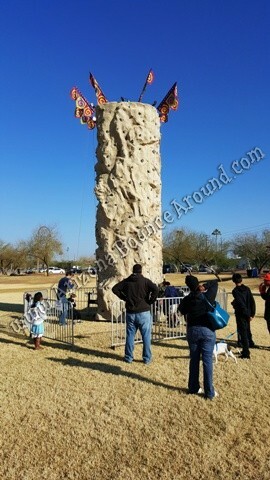 Don't waste your money on a 3 or 4 climber Rockwall when you can have 5 people climbing at the same time. 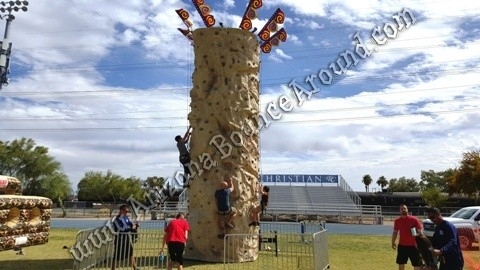 We have two of these 5 climber rock walls so your event can have 10 climbers going at the same time if you rent both. We are the leader in high volume games and activities for parties and events so call one of our party planners today to get the party started. Our rock wall is pulled with a vehicle and needs room to turn and maneuver into place so driving to the setup area is a must. All carnival rides and rock walls need to be inspected and required by the state of Colorado. All of our rock walls have current state inspections. Before hiring a rock climbing wall company or compare quotes make sure they comply with the state requirements by having current state rock wall inspections on file. 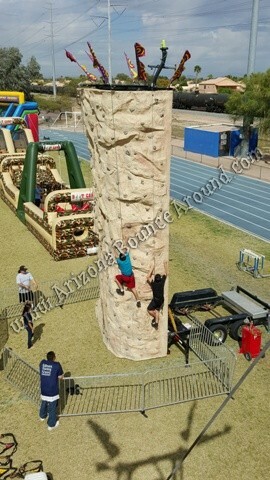 We rent an inflatable rock wall that will fit into courtyards and inside gyms and has more flexibility for set up if you need. 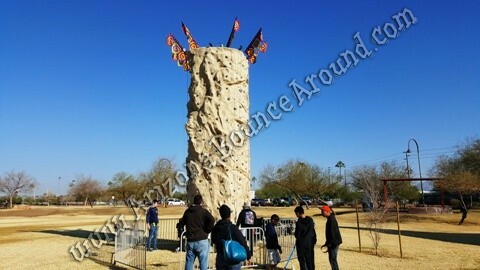 We also rent fence for crowd control and offer a rock wall bungee trampoline combo. We are your rock wall rental superstore serving all of Colorado with portable rock climbing equipment. We have a full staff of party event planners here to help you plan your next party or event.